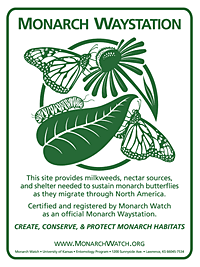 All of our research and planning was actually beginning to pay off. 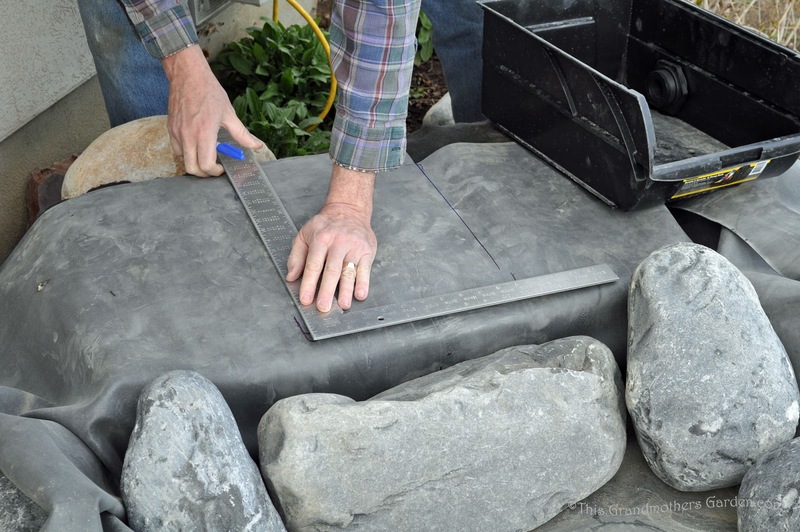 Before placing the felt underlay, it's important to remove any stones in the soil along the stream bed. 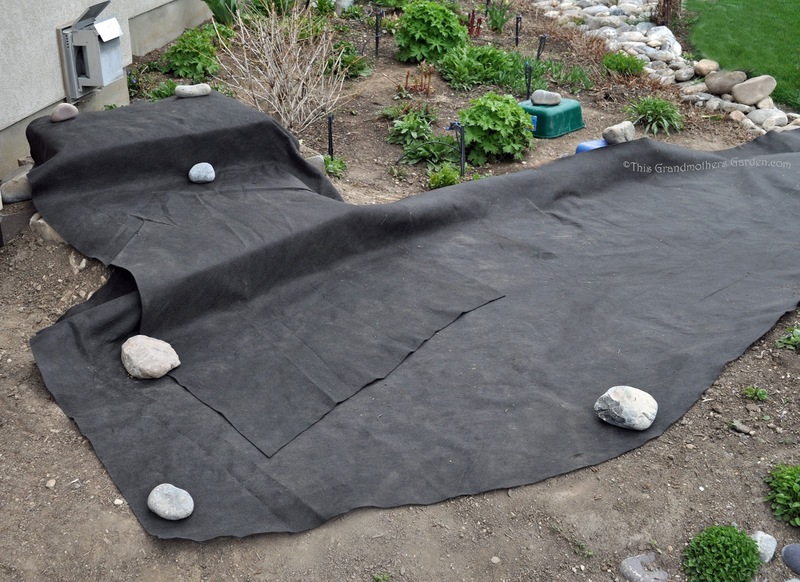 The underlay will provide a cushion between any sharp rocks left in the soil and will protect and extend the life of the rubber liner. 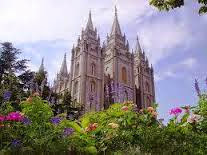 Be sure to lay down a wider path than you intend the stream to be. You can piece the underlay if need be to get your desired result. 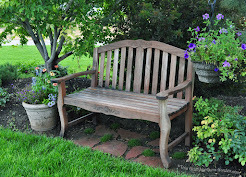 Don't worry too much about buying just enough, as this material is fairly inexpensive. 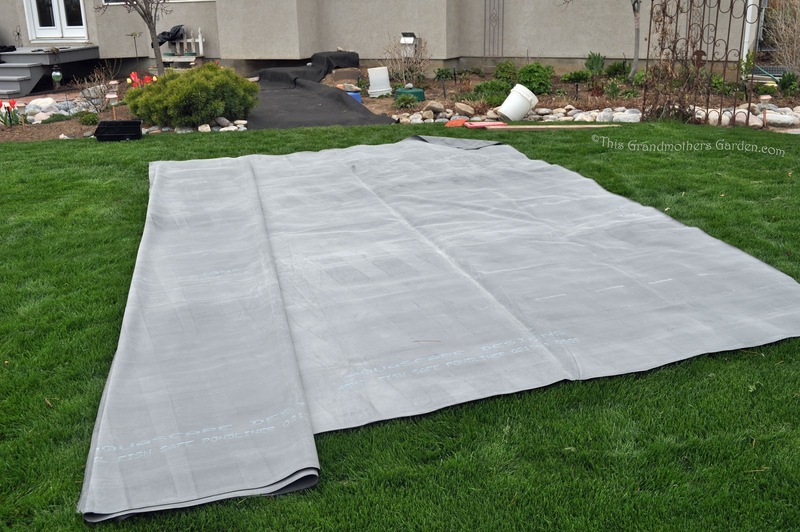 We purchased our underlay and liner at a sprinkler supply store. 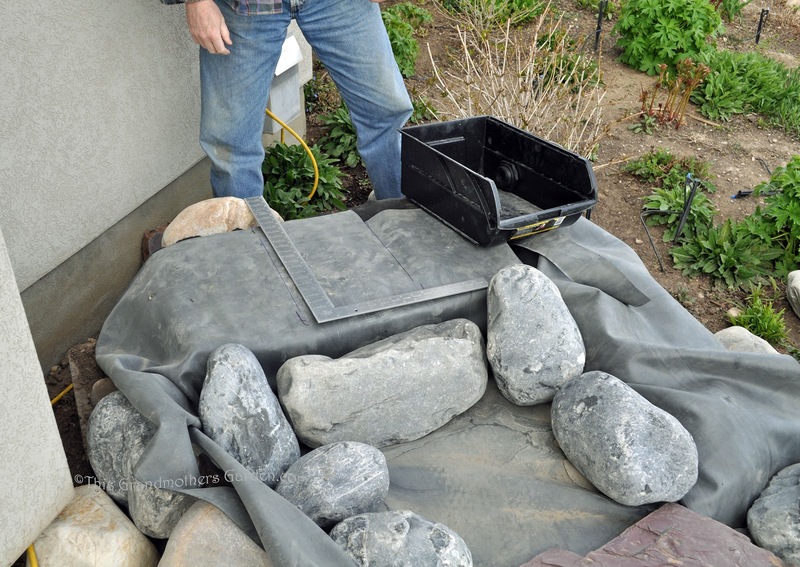 Hold down the edges of the felt with a few rocks to keep it in place while you lay the liner. 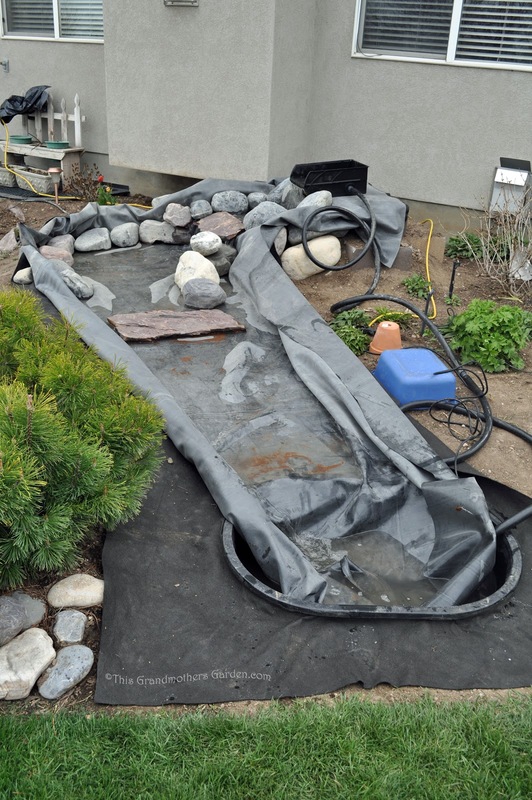 The EDPM pondliner was one of the more expensive items purchased for our waterfall. Don't skimp here; it really does need to be 45MIL thick if you want it to last and resist punctures. 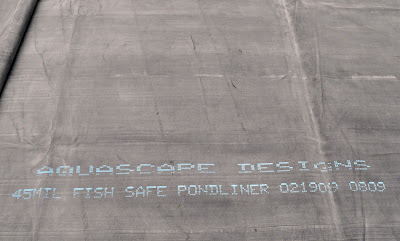 Since we didn't plan to include fish in our system, a fish safe pondliner was not critical but is what we purchased anyway. 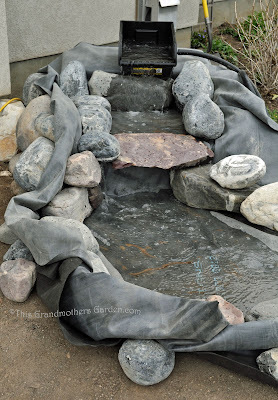 Make sure you purchase enough to follow all the curves and cascades of your stream bed, no piecing here, to allow lots of extra to be pulled up over the rocks you plan to use. And like the underlay, leave very generous margins, you can always cut off the excess after the rocks are placed, but you can't add back on. Despite our efforts to carefully calculate the size of the waterfall and stream, we ended up with twice as much pondliner as we needed but better to error on the side of caution. We were able to sell the other half at a good price. Having never built a waterfall feature before, we were a little unsure of how it was going to work out. 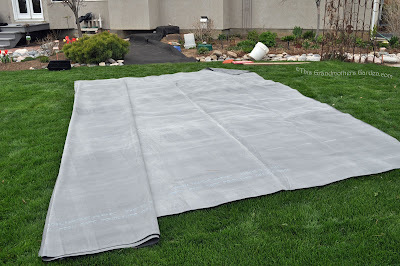 So after we had the pondliner basically in place, we decided to take it for a test dtive. We filled the basin with water, placed the pump in the basin and attached the pump to the hose. We then ran the hose up to the wier at the head of the waterfall. (After the stream bed was complete, we buried the hose under the surface.) We then turned on the pump, and crossed our fingers that the water would flow up the hose, fill the wier and cascade down the stream back into the basin. Convinced that all was working as planned, we marked the liner to indicate where the wier would sit permanently. and was actually the most fun! I did not realize all the details that go into the liner. You explain this so carefully and with so much detail. I can see why you are the perfect person to do these instructional posts. Very useful to see your creation take place. 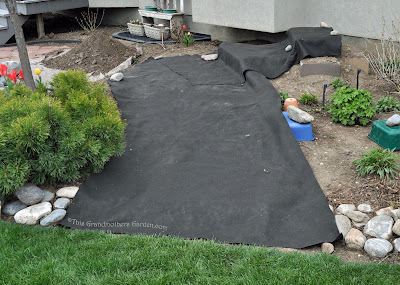 Having plenty lining material reminds me of when we did our first pond, it ended up far too small, did we not make the same mistake again the second time around. I don't know, some people never learn. Thank you for sharing instructions on how to build a waterfall. After reading your posts, I am still hoping I can build my dream waterfall, too! I wish we had been home when they were building our pond and waterfall...we were away when they scheduled us...glad I trusted them!